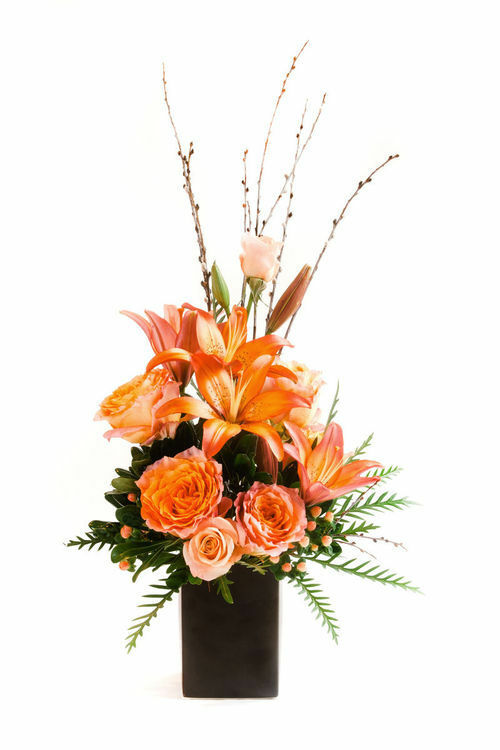 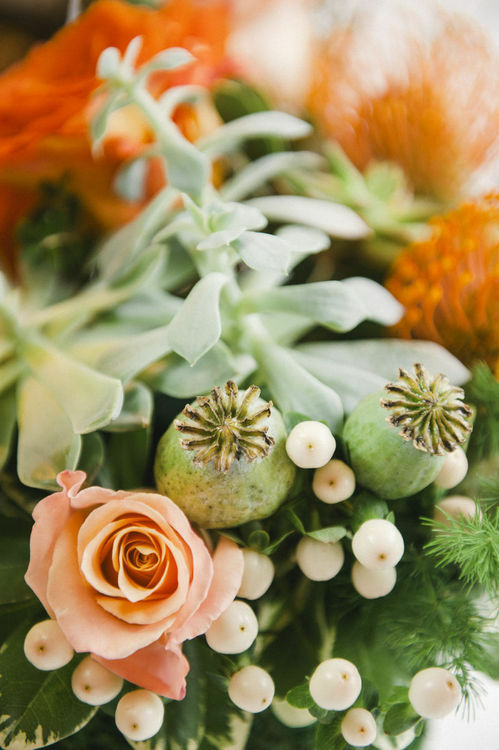 Classic green hypericum berries in this design from EightTreeStreet florist in Springfield, VA.
Peach hypericum berries in “Free to Be" from local florist Free Spirit Floral in Alexandria, VA. 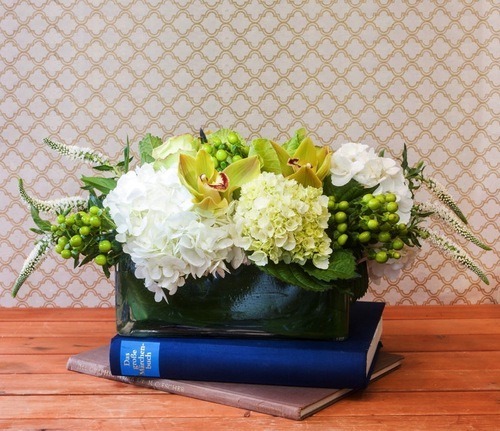 Pale cream hypericum berries in ”Kathryn“ from Free Spirit Floral. 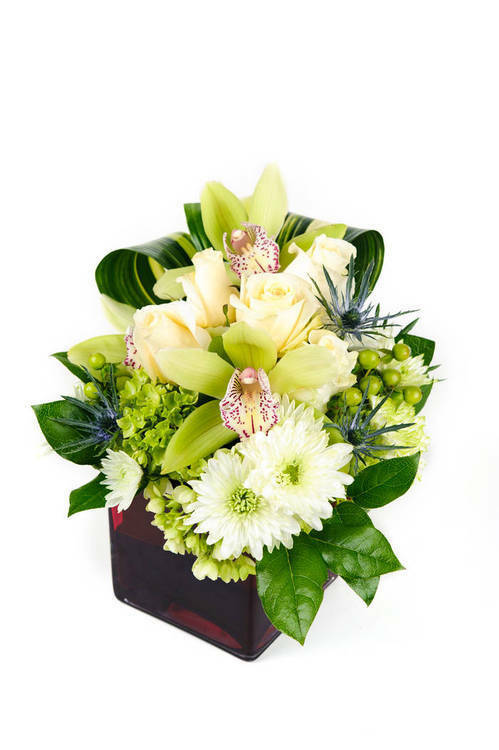 Green hypericum berries in this long and low white and green flower arrangement from Palace Florists in Washington, DC. 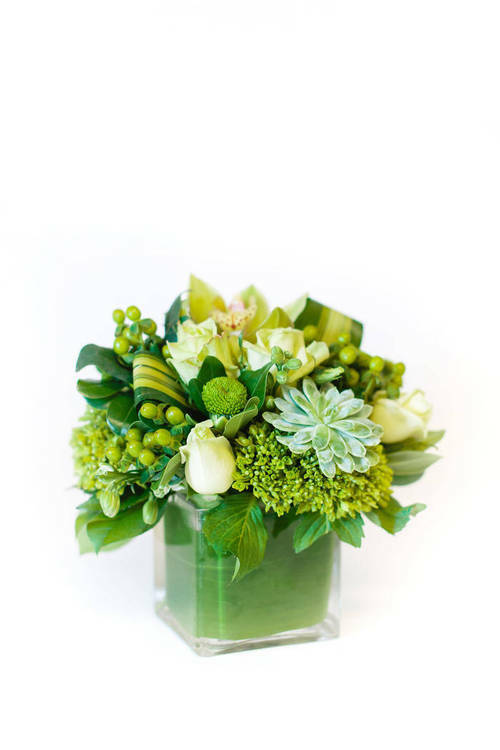 More green hypericum berries in this all-green flower design by DC florist Nosegay Flower Shop. 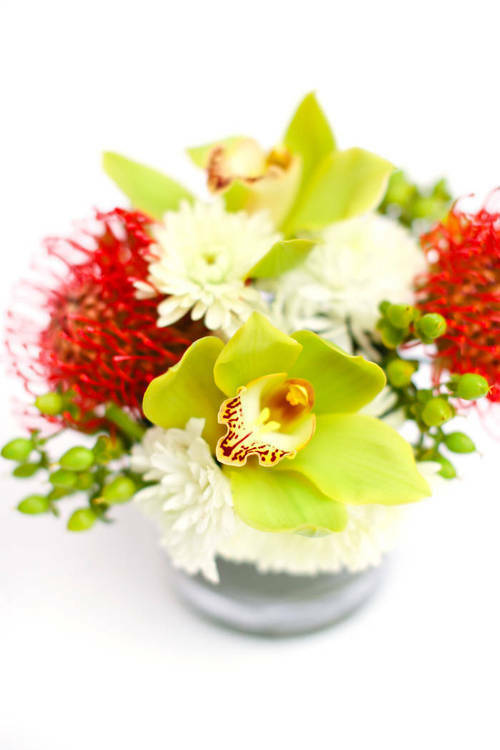 Green hypericum in this spring fresh design by Free Spirit Floral.